rah-DEE-kee-oh or rah-DEE-chee-o? 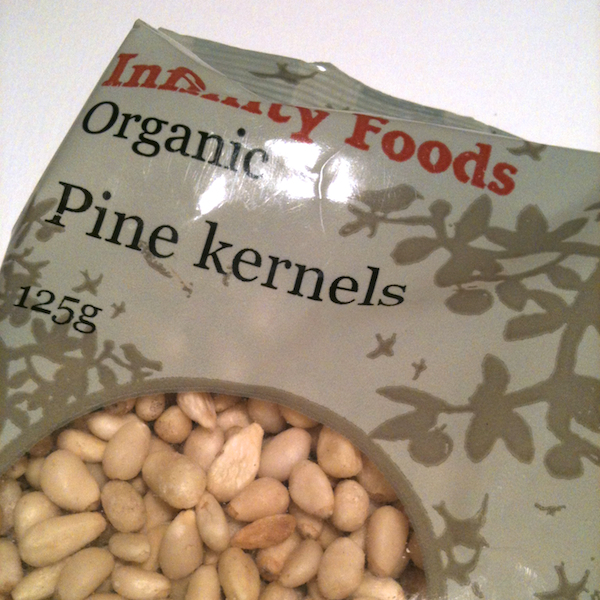 Whichever way you pronounce it it’ll partner our organic pine nuts perfectly. Rinse, dry, and chop the raddichio leaves. Toast the pine nuts gently in a frying pan (no oil) till they’re beginning to turn golden brown (keep them moving so they don’t burn). Toss the leaves and nuts together with lemon juice, olive oil, and a little salt and pepper. A wonderful – and very moreish – winter salad.